Playtest UK: Expo volunteers needed! 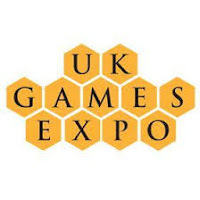 This year Playtest UK will be running three events at the UK Games Expo on Friday 2nd-Sunday 4th June 2017. The Designer/Publisher Speed-Dating will be on Friday 2nd June 6pm-8pm. We are able to offer Expo day passes to volunteers that can help out for a certain amount of hours during the event. Also, volunteers will get the first choice of playtesting sessions. If you have any questions please feel free to contact Rob Harris via the usual contact form.